It matters what we use to think other matters with; it matters what stories we tell to tell other stories with… It matters what stories make worlds, what worlds make stories. As I alluded to in a previous post, Haraway’s argument about storytelling in and about modern technoscience serves as a guiding principles for several ongoing projects. This includes how I approach helping to assemble a virtual reality (VR) artists collective with two artist-curator sisters, Kelsey and Remy Bennett, in New York City. I first met Kelsey and Remy last summer, when they invited me to speak at an event for a previous exhibition, LIFEFORCE (also check out this excellent write up). The current project is called PIP (Practically In Person). At this point, I am thinking about how three different ways of assembling people, spaces, time scales, and things are being dynamically constituted in our project: how intersectional identities, artistic and scholarly conceptions of embodiment, and the capitalist political economic context of modern computing technologies are playfully negotiated to imagine and enact a new digital politics for VR. 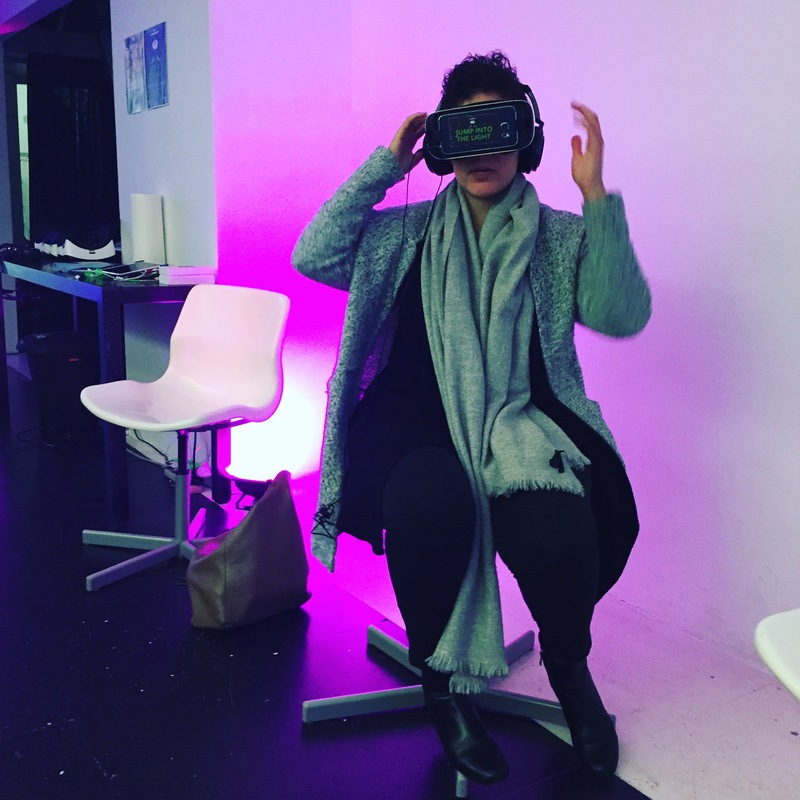 In encounters between the curators, participating artists, technologists contributing training and technical support, and the community of women VR professionals in New York City, gendered, raced, ageist, ableist, and classed expectations about who new technologies “naturally” allow to speak are confronted head on. How to create VR works that articulate visions of a just future with and for technoscience while ensuring the material survival of women creators in a labor market which devalues both creative production and the labor of women is a second node of concern. Both of these issues shape the group’s (and, to some extent, the VR industry’s) commitment to making VR a medium for presenting embodied experiences that evoke the standpoints of people who inhabit very different subjectivities from the user’s. Through these three interlocking sets of negotiations, we are collectively exploring whose stories will be told in VR worlds and whether VR worlds can change the kind of stories about ourselves that we expect new technologies to tell.